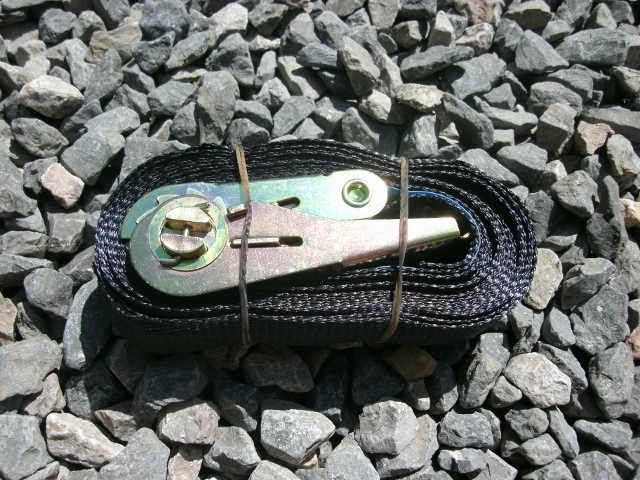 800kg Mini Ratchet Strap 4m long and 25mm wide. Easy to use and unlock and suitable for strapping other things as well as beehives. Conform to EN12195-2:2001 safety performance requirements. Produced from 100% polyester material. Rubber corner protectors are available to protect the webbing (please see Rubber Wear Sleeves). A great strap that can be used to strap up hives for transport, or if you keep your hives in an apiary exposed to wind or livestock.